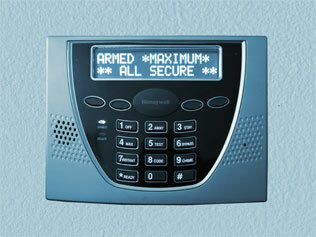 The CORE Group is one of very few security firms that specializes in alarm system attacks. Despite the vast majority of both large and small enterprises using alarms, these technologies are not deeply understood or analyzed by anyone other than their installers. Gaining access to signal wires or intercepting the RF communication of wireless systems allows a threat actor to launch a variety of attacks… many of which are virtually undetectable. This training takes participants through alarm system design and function, from the front-facing keypads to the control panel in the back room… exposing myriad opportunities for exploit and attack. Attendees interact with a fully-functional alarm system, stepping through the process of properly programming and evaluating a configuration. Students will then be shepherded through the process of reverse engineering an alarm system along with its signals, and will learn how to identify and exploit potential weaknesses within the architecture. Finally, participants are walked through direct attacking and exploiting procedures… tapping into live alarm bus wires and interacting with the panel via customized electronic tools which are theirs to keep. After this training, it will be possible for Red Team focused attendees to successfully extract master disarm codes and bypass alerting functions for some of the most popular brands of alarm system in use today at commercial facilities. Blue Team folk on the defensive side will learn the most critical vulnerabilities to be wary of and how to correct them.